It’s almost summer, which means sporting a water bottle is a must. How about sporting Blood:Water’s newest exclusive Camelbak? At Blood:Water, we are blessed by all our amazing donors who make this life-changing work possible in Africa. One group of folks donate monthly, and we call them our Community:Builders. There are numerous reasons monthly commitments are intrinsic for non-profit organizations, but one reason is simply that they are considered essential to the faithful, sustainable execution of work with our partners. Community:Builders provide the consistent funding resources necessary to continue building healthy partners and healthy communities for the long-term in each of our partner organizations. With their support, we can actually walk alongside our partners for several years to create sustainable health solutions and help them take ownership of their own clean water and health efforts in their communities. 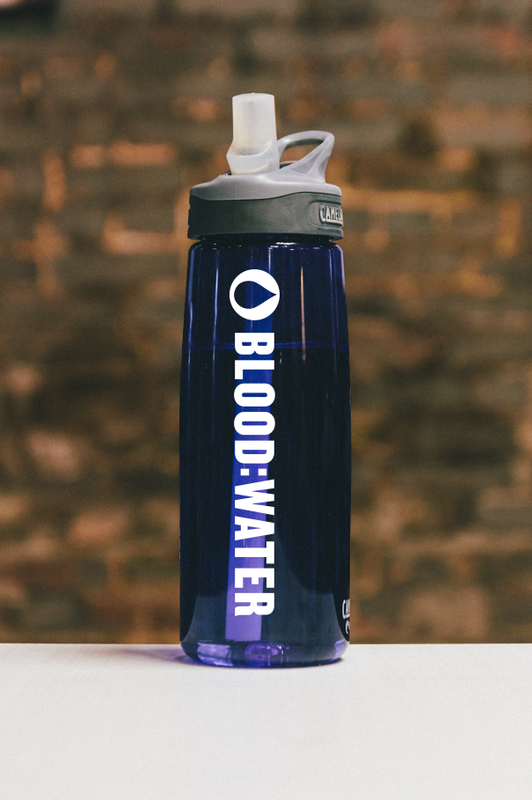 Today only, anyone who signs up to give monthly will receive an exclusive Blood:Water Camelbak water bottle. So, if you were on the fence, this is your moment! Heroes in Africa are empowered by your monthly giving. Thank you from the bottom of our hearts to our current Community:Builders for your generosity and thank you to everyone who decides to take this next step of partnership with us today and signs ups to join us to partner with Africa to end the HIV/AIDS and water crises!